A super sweet tooth is nothing to be ashamed of; give me a bag of pick n mix over a gourmet meal or green juice any day! There’s something nostalgic and incredibly comforting about the scent of our favourite childhood confectionery, especially as our sense of smell has been proven to be a powerful force in the formation of memory and emotion. For me there’s nothing more comforting than the subtle scent of Palma Violets or breathing in the aroma of a Lemon Bon Bon, which is why I’m a little obsessed with Patisserie De Bain and all the sweet body treats they have on offer. (I even named their hand creams my ‘product of the week’ back in 2015!) 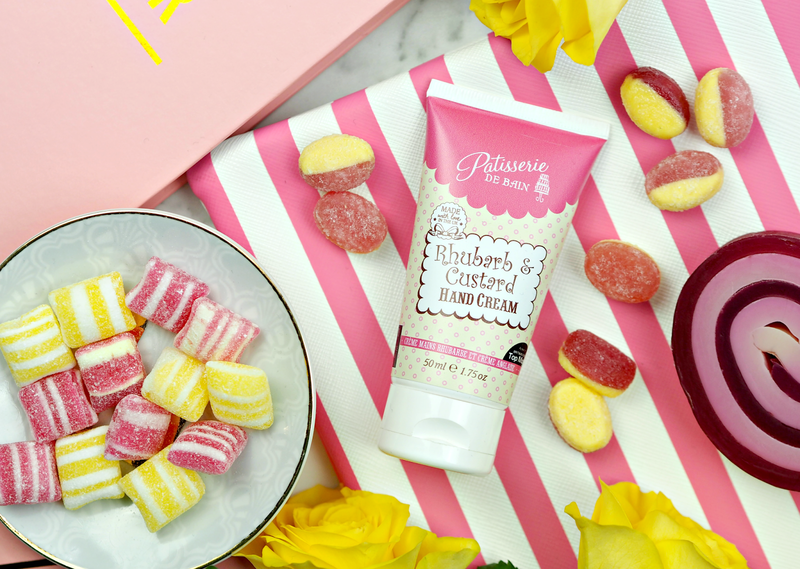 Not only are their formulations a pleasure to use, but they’ve managed to capture everything we love about candy shops without presenting a range that airs on the side of childish and sickly sweet; it’s a grown up way to celebrate our love for all things sugary – but without the calories! Patisserie De Bain have nailed this new scent and I know that you guys will love it as much as me. It’s the perfect desk-side essential or handbag treat, giving you a little sugary pick-me-up for body and mind when you need it most. All that and it’s still only £3.99 a tube – bargain! Will you be picking one up when it launches in the next few days? The Patisserie De Bain hand creams are available now via Superdrug, priced £3.99. 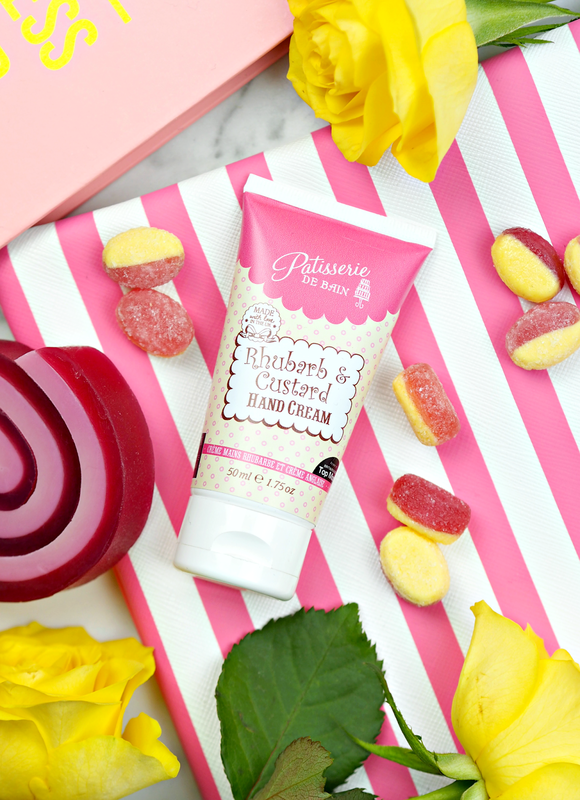 The new Rhubarb & Custard scent will land this March. Find out more about Patisserie De Bain on their website; don’t forget to follow them on Instagram, Twitter and Facebook too for all the news on launches before anywhere else. This is a sponsored post on behalf of Patisserie De Bain; all opinions are my own. It smells exactly like them! I'm sure you'll love it. It has it all: amazing aroma, hydration and rapid absorption. It smells exactly like them – to the point where I probably put on the hand cream more than I should!